Concrete driveways are an everlasting and low maintenance addition to one’s home. 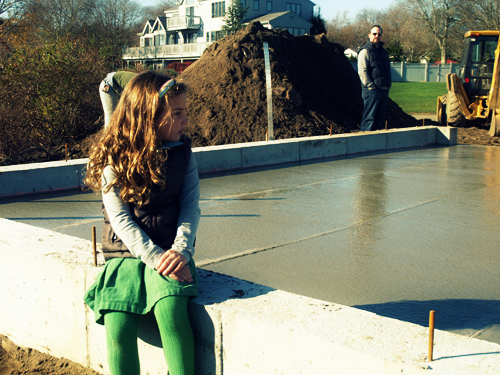 A concrete driveway not only improves a home’s appearance and gives children a safe place to ride their bikes but it also decreases erosion and makes it easier to keep one’s car clean. Making a concrete driveway is a very labor intensive and expensive project, but for individuals who like to do it themselves, it is a challenging but satisfying project. One should measure the length and breadth of the location where they intend to make the driveway. A typical driveway requires a 2 inch bed of rock to be coated and covered by 6 inches of cement. One should then buy the required amount of aggregate rock and cement from a local supplier by providing them with the measurements in order for them to determine the necessary amount. One should find and choose a supplier who provides a delivery service and arranges for the materials to be delivered a couple of days before one intends to make the driveway. One should dig out the designated area where one intends to pour the driveway. It is recommended to dig 8 inches deep and add an extra 6 inches to all the sides when digging out the area. This enables one to frame the areas for pouring the material. After that, one should continue to level and flatten the area that has been dug out by tapping down the dirt. The driveway area should then be framed with the use of 2 by 8 lengths of lumber, which leaves the extra 6 inches on all the sides to the outside of the framed area. Next, one is required to add the aggregate rock to the framed area and level the area with the help of a soil tamper. Subsequently, one should make use of shovels to move the cement once it has been poured, keeping it as smooth and level as possible within the framework. It is essential to remove the air bubbles from the freshly poured cement with the use of a tool such as a jitterbug tamper on the surface of the cement. 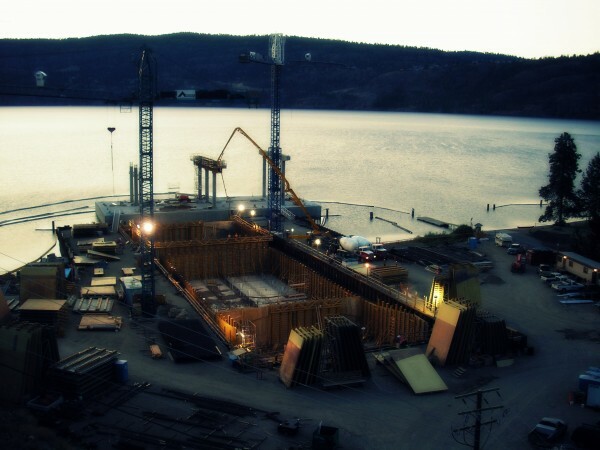 One must continue to even out the concrete surface until the pouring is complete. After which, one should screed the surface of the cement using a 2 by 4 length of lumber and 2 feet longer than the width of the driveway. This can be done by laying the wood across the width of driveway at the top and by using a seesaw movement, one can move the lumber across the surface of the driveway in order to remove excessive water and cement. 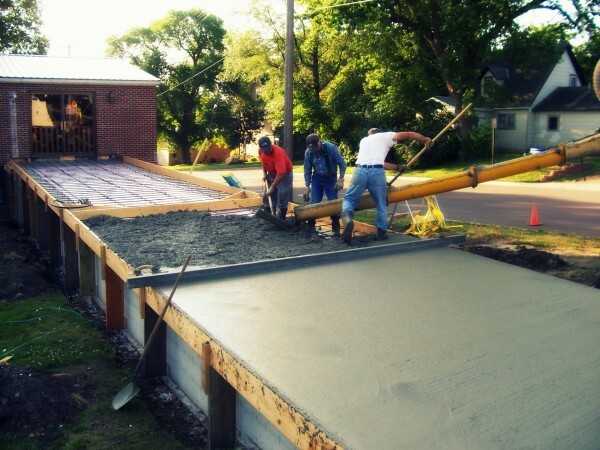 Finally, one must lightly pour the concrete every 4 to 6 hours in order to avoid cracking and let it dry for about 4 to 5 days before removing the frame and making use of the driveway.